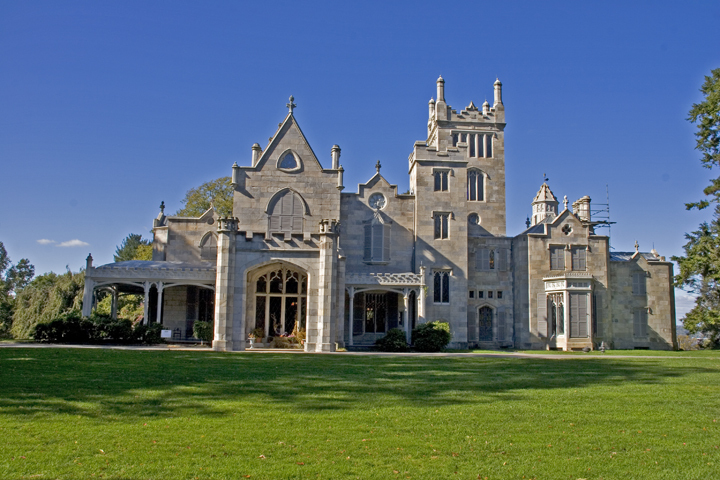 The Lyndhurst Mansion was originally owned by the former mayor of New York, William Pauldring Jr. in the 1820’s. 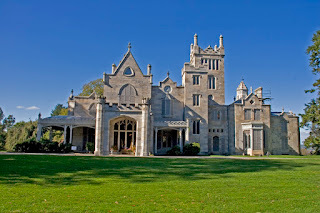 It sits facing the Hudson River in historic Tarrytown, New York on a knoll with 67 acres and “park-like landscapes.” The mansion it’s self was created in the Gothic Revival style, which had just begun to rise in popularity at that time. 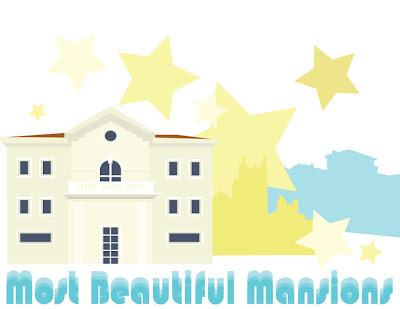 The mansion would undergo two more facelifts in years to come, both while in the possession of different owners; George Merritt, and Jay Gould. The estate passed into the hands of the National Trust for Historic Preservation in 1967 and holds guided tours, musical performances, and special events for the community. Frank Woolworth, a wealthy retail business owner in the 1890’s had been working on the completion of a skyscraper on fifth avenue, when he contracted the same architect, C.H.P. Gilbert to build a series of houses for his three daughters, Edna, Helena, and Jessie. What resulted was a huge central mansion at 4 East 80 Street known today as Woolworth Mansion. This neo-French Renaissance creation features a limestone façade and seven levels total. 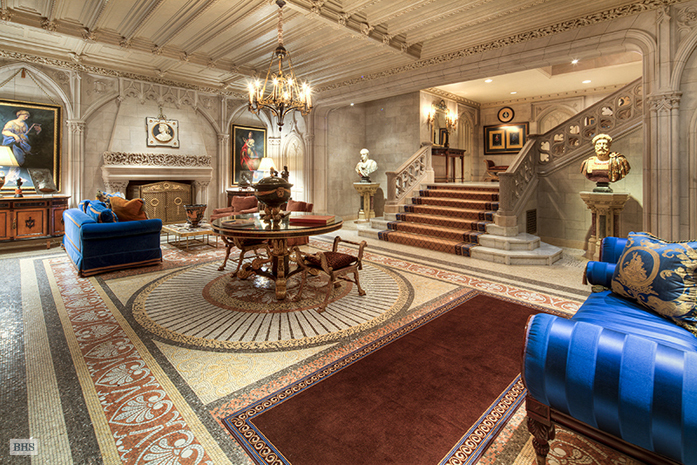 Altogether, the mansion contains 8 wood burning fireplaces, 14 feet ceilings, a dining room that can sit 50, and an elevator that services all levels. Woolworth is every bit as astounding as it sounds, and so is the price tag: $90 million dollars! 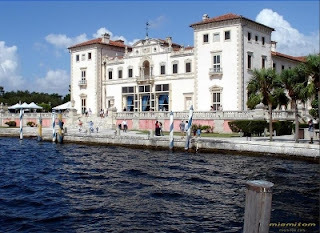 Vizcaya began as a winter get-away for American industrialist James Deering, who founded a business on providing agricultural equipment to the world-wide market. At the time of its construction in the early 1900’s, 10% of Miami’s total population was employed to work on the mansion. Aside from the huge waterfront complex, the estate also includes a farm with livestock and sprawling gardens all sitting on 180 acres. A small staff remained to maintain the house after Deering’s death in 1925, and in the 1950’s it was sold to Dade County, Florida under the condition that it become a public museum. Today you can tour the building, gardens, and grounds, as well as view an extensive collection of art objects. 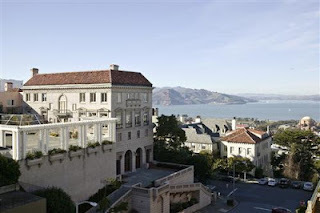 This stunning mansion perched atop a hill in the Seaside Heights area of San Francisco was originally modeled after a Palazzo in Fiesole, Italy, making it the only Renaissance style complex you’ll find in the area. Its prime location lends it to breathtaking views of the Golden Gate Bridge, Alcatraz, and San Francisco Bay. 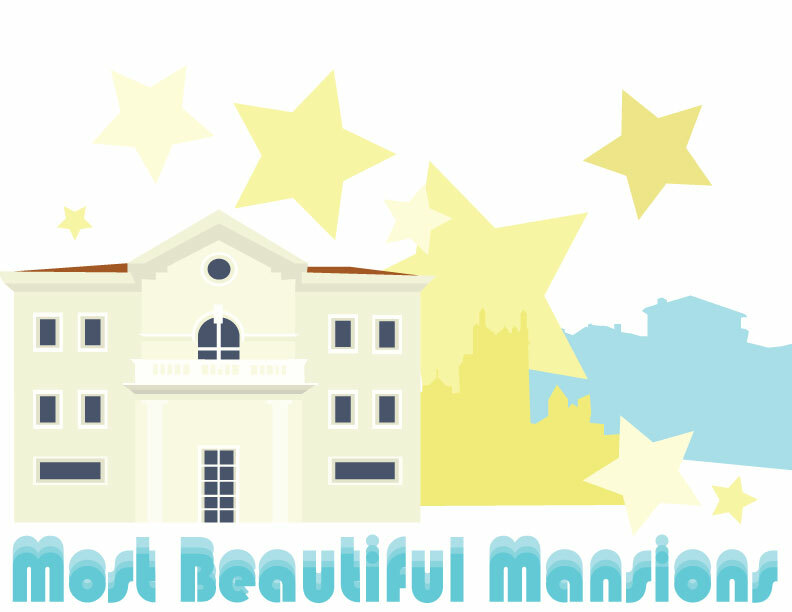 As if that wasn’t enough, the interior features seven bedrooms, five baths, a grand marble staircase, music room, formal dining room, butler’s pantry, family living level, and gallery. Most of the inside consists of all original hardwood flooring, and beautiful ornate molding and trim, fireplaces, and chandeliers. You can see the entire interior of 2901 Broadway here: http://www.2901broadway.com/ or even set up a tour to buy the property, since it was listed in February. That is, if you’ve got an extra $34 Million to spare. Possibly the most impressive estate on the list, this chateau style mansion built by George Washington Vanderbilt II in 1895 is considered the largest home dwelling in the United States, and it’s really no wonder; it’s made up of 175,000 square feet, 250 rooms, 43 bathrooms, 65 fireplaces, and 3 kitchens. The complex sits on a total of 8,000 acres and includes its own village, several European style gardens, a scientific forestry program, and livestock farms. Other features include 70,000 gallon indoor pool, bowling alley, 2-story library, and multiple elevators. The Vanderbilt’s only child Cornelia would later open the estate to the public in 1930 to help bolster the local economy that was still in the midst of the Great Depression. 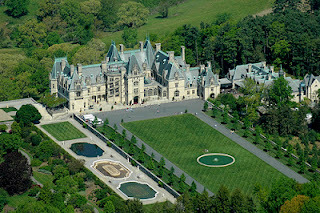 Since then, the Biltmore has been converted into an inn and winery, making it a beautiful and historic place to get away.